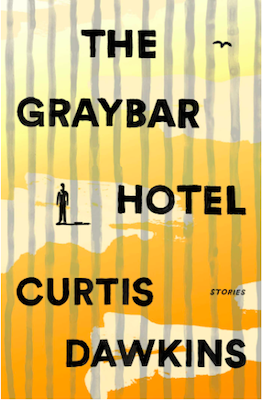 The following is from Curtis Dawkins’s collection of stories, The Graybar Hotel. From a single dandelion smuggled in from the rec yard to candy made from powdered milk, The Graybar Hotel takes us inside the world of prisoners, but goes beyond life inside a cell. Curtis Dawkins has an MFA in fiction from Western Michigan University. He has struggled with alcohol and substance abuse and, during a botched home robbery, killed a man. He is serving a life sentence. George had come back from the visiting room where his girlfriend, Sunshine, just told him she had cancer. He couldn’t touch her or hold her, of course, through the phone, through the glass. He said he almost tried to smash through the thick, shatterproof pane, but he figured he’d be tackled long before he ever got to comfort her. He looked around at us with the anger still in his eyes, as if expecting praise for his restraint from trying something that would have been impossible to begin with. Just down the hall was a cell of suicidal women who wrote dirty notes on little bars of soap, then slid them down to our cell, like illicit Olympic curlers. No matter the gender, all the suicide cases were lumped in this one small section of the jail. We never laid eyes on the women, only heard them and read their notes. The men in general population probably would have loved to be so close to women, but it was frustrating and meaningless, and I would’ve traded them ten times over for a better TV to replace ours, which was slowly dying up on the wall. Half the time there was only a black screen and the voices inside, or an occasional haunting thump from the speaker. No one died on the suicide watch wing when I was there. A man did commit suicide over in the jail, but he wasn’t on A North, he was in segregation. My wife came to visit on the same day jail officials gave his personal belongings to his grieving sister in the waiting room. My wife didn’t go into detail about it; she was shaken and I didn’t press. But in my mind I’ve played that scene over and over again. I imagine a sibling, someone I love and grew up with, who goes to jail—which is bad enough—but then the personal demons set in and I never see them alive again. I clutch a paper bag of their things that doesn’t seem to weigh enough. On A North, no one died. None of us, at least. But George’s girlfriend had cancer and we all felt horrible about it. When you’re separated from the people you know and love, every emotion is multiplied. Your mind becomes a very clear prism, into which every feeling enters, then becomes seven or eight different shades. We were all responsible for being there, of course—none of us were innocent. But that only makes you feel worse when you’re the one in jail. We were sad about Sunshine, and we were worried about George, who was a surly kid who would fight anyone at the drop of a hat. Finding out about the cancer didn’t help his already touchy mood. I had been making chess pieces from wet toilet paper, and was just about finished with the bishops, which strongly resembled the pawns. 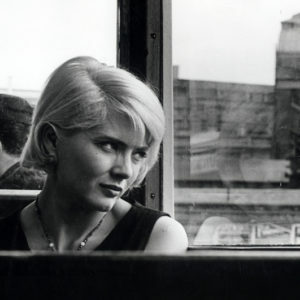 George sat on his bunk and said, Her hair was falling out. And then he started to cry. I mean he really cried. Sobbing. How long has she had cancer? one of us asked. She just—sob—found out—sob—today. And of course, being the resident know-it-all, I explained to George that something was strange about Sunshine’s cancer story. No one’s hair falls out the same day they’re diagnosed with cancer. That’s the chemo, I said. And if they just found it, she couldn’t have started chemo yet. George always had a problem with violence—it was the first thing he said when he became the fifth man in our cell. He said his father used to set up fights between him and his drinking buddies’ kids. They would place bets, like the kids were roosters or dogs. I expected to be punched after I’d basically called Sunshine a liar. But I wasn’t punched. I just kept adding my wet wads of toilet paper to build up the bishops. George stopped sobbing. He lay back on his bunk and listened to the black TV as if he could see what was happening there. I always assumed it was Sunshine who was the liar— that she’d been diagnosed months earlier but had to work up the nerve to tell him face-to-face. But years after I was on A North with George, it occurred to me that it was probably him who had made the whole story up. For sympathy, or something like it. He lay there watching the black screen and seemed to really enjoy the soap opera that was going on. It was like a radio play, or eavesdropping, as if the action were taking place just on the other side of our cinder-block wall. There was a hostage situation—some nut with a Southern accent demanding a couple million in ransom. We could hear that the hostage was a regular character, so we knew no permanent damage would be done. She might think she was going to die, but there was no way she would. In fact, the situation might do the spoiled twerp some good. It might deepen her shallow soul. Then there was a loud thump from the speaker and a wisp of smoke rose from the back of the TV. And that was it. The television died a slightly smoky death. We never learned how the hostage situation turned out, if it affected the soap opera’s character or not. I imagine it gave her nightmares, as proximity to death is wont to do, and like me she wakes up in a paper bag, waiting on someone to pick them up. From The Graybar Hotel. Used with permission of Scribner a Division of Simon & Schuster, Inc. Copyright © 2017 by Curtis Dawkins.